The progressive rock band Oceansize from England is ever growing in popularity. The band tours intensively for the promotion of their last year released record Frames, which is their third. Unfortunately I missed all their many previous shows in Holland, so today I had some catching up to do! 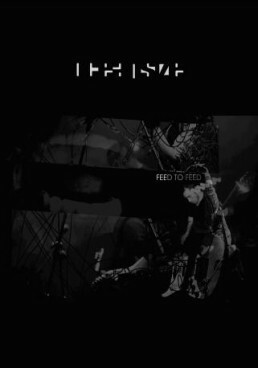 Oceansize is one of those bands which are totally overwhelming. An interesting mix of styles which all have in common that you’re floating along with the songs; they really grasp your attention. Think of bands like Porcupine Tree and Opeth. As the second song of the show they played ‘Sleeping Dogs and Dead Lions’, the most metal and awesome song of the band which comes close to the two bands just mentioned. The rest of the material is more rock orientated, but also creates a massive wall of sound by regularly using three guitars. Unfortunately their presentation is totally subjugated to their music. As we see more often in this kind of genres the frontman is a calm and relaxed chap who is only on fire during his songs. Well, I guess his presentation is typical British, with now and then some dry jokes. Who cares, when the music is more than enough to deal with.